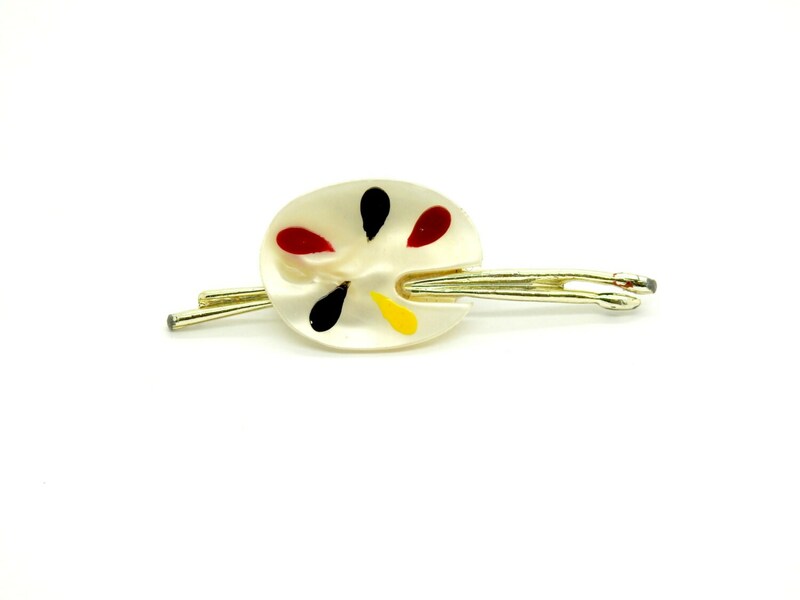 Looking for cute and small brooches? 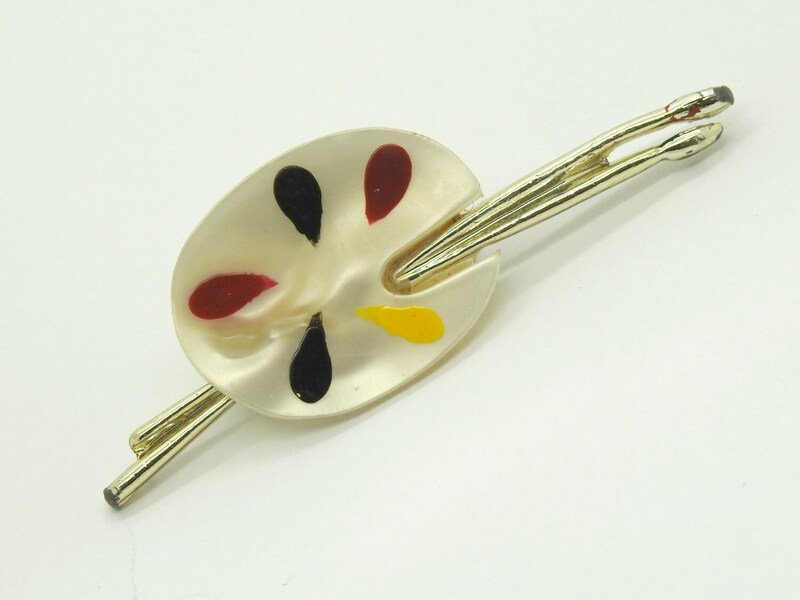 Let yourself be seduced by this vintage jewelry brooch pin '' artist palette''. 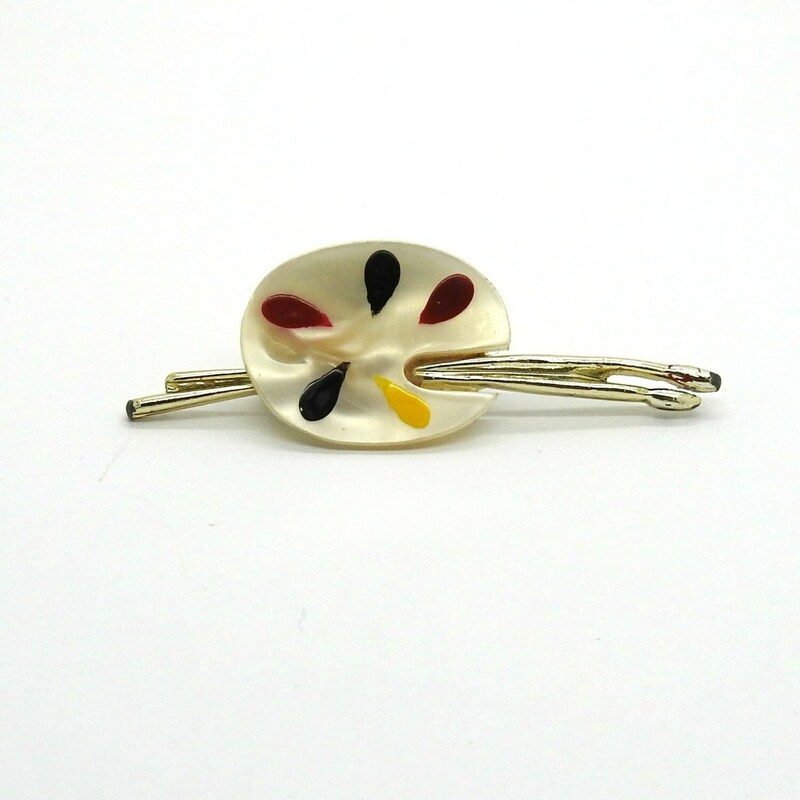 • Fun style vintage brooch. • Color: black white and red. 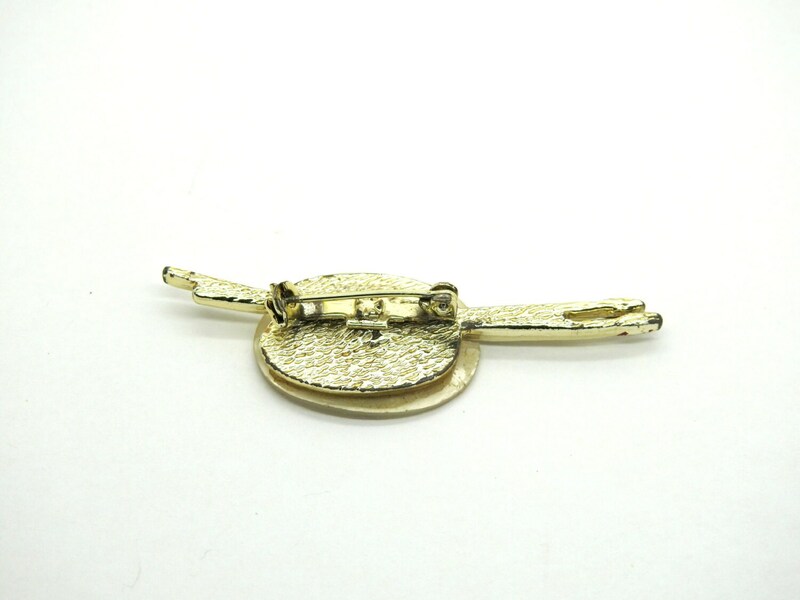 • Pin is in average vintage wear condition (chipping on ends of gold plating). • Pin mechanism is in good working order. No markings. ♥ This vintage jewelry broooch is small : 2.5"x.75" -- 6.5 x 2.5 cm approx. Any questions? Don't be shy, just ask for the ''contact button'' under my name and my picture, on my store main page OR with the '' ask a question'' under the title of each item. I Try to respond to all questions within 24 hours. Thank you for exploring my little vintage clothing and jewelry boutique, Treat yourself with this lovely red, black white brooch!